The City of Tshwane Metropolitan Municipality, located in the Gauteng Province, is the fifth-largest municipality in South Africa and home to over 2.9 million residents as well as the capital, Pretoria. The municipality operates 24 primary health care facilities providing access to health services, primarily to the uninsured population. Patient record management through RxSolution, an integrated computerized pharmaceutical information management system developed and managed by the USAID-funded Systems for Improved Access to Pharmaceuticals and Services (SIAPS) Program, helps health care personnel from these 24 facilities manage patients’ medical history and monitor medicines stock and use. All patients who visit Tshwane healthcare facilities receive treatment and medicines, even if they do not present any official identity documents, such as a patient passbook or government-issued ID. As a result, patient record management in the City of Tshwane can be a challenge—the same patient may visit different facilities every month to pick up the same prescription, bringing no or false identification, or sharing their documents with family members. Health care workers also rely on the unique information on patients’ identity cards to locate patients’ files in their system. Therefore, recordkeeping becomes extremely complex when dispensing prescriptions to patients who do not correctly identify themselves. Patients visiting health care facilities without proper identification are at risk of not receiving the prescription initially prescribed to them, resulting in medicines wastage and irrational use. A health care worker teaches a patient to use the biometric system. In 2013, pharmacy managers in the City of Tshwane noticed multiple incidences where one patient record was used to dispense monthly medicine packs multiple times a month on the same patient file. Aware of the sheer volume of patients receiving care within the Tshwane health system and the pressure placed on health care workers to perform, the Pharmaceutical Services Unit of the Tshwane Metropolitan Municipality sought to develop and implement a strategy to ensure that patients receive their monthly treatment based their true patient profile. In association with the Electronic Patient Records Unit, the Pharmaceutical Services Unit embarked on a patient records improvement initiative at its 24 clinics. The initiative identified possible mechanisms to recognize patient’s identity without relying on the ID card, averting any possibility of a different patient collecting medication on another’s file. The Pharmaceutical Services Unit decided that the best solution for better patient record management was to integrate RxSolution with a biometric verification system that uses patients’ fingerprints, personal images, and signatures to retrieve electronic patient records. 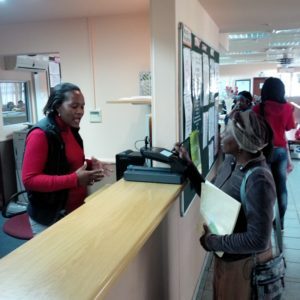 In collaboration with the City of Tshwane Metropolitan Municipality’s Health Department, SIAPS developed an interface between RxSolution and Meniko Data Management Services’ biometric hardware. Once this interface was developed, the City of Tshwane Metropolitan Municipality, in partnership with SIAPS, Innovation Hub and Meniko Data Management Services, installed and implemented the biometric patient identification and records retrieval system. This has led to improved management of patient files, as well as of medicines prescribed and dispensed. Since April 2014, the interfaced system has been operational in four piloting clinics: the FF Ribeirro, Lyttletton, Stanza Bopape, and Atteridgeville clinics. At these pilot sites, health care workers create patient profiles that include a biometric enrollment and verification using RxSolution. Once enrolled in the system, patient identities can be easily verified during future visits to clinics by fingerprint, signature or photograph. RxSolution enables patient information to be retrieved and prescription history to be displayed on the screen once the patient has been identified within the system. To ensure proper system functionality, SIAPS, along with the City of Tshwane and Meniko Data Management Services, set up channels to receive feedback on the use of the integrated software. Monitoring the system’s day-to-day usage, the City of Tshwane Health Department forwards potential challenges to SIAPS and Meniko Data Management Services for immediate attention and follow-up. For quality assurance purposes, Meniko Data Management Services developed a dashboard to monitor the total number of patients enrolled using the biometric software and the number of patient verifications that have passed and failed in the system. This allows for the troubleshooting and monitoring of data. The integration of RxSolution with the biometric system is playing a key role in reducing the number of patients collecting medicine under other patients’ names. 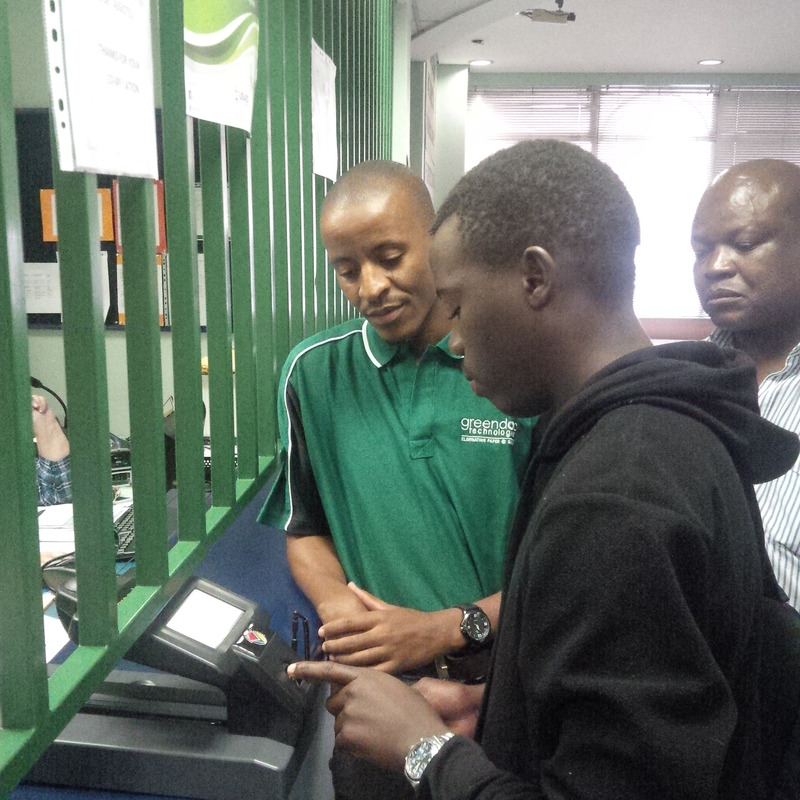 The biometric scanner recognizes a patient’s fingerprint at a Tshwane clinic. System integration between RxSolution and biometric software has also enabled health care facility staff to identify patients who visit multiple clinics and use false identification. Using the dashboard, approximately 486 cases of patient double enrollments were identified since the system’s installation at the four pilot sites. These 486 duplicate record files have since been deactivated. As anticipated, this integration has improved the management of patient records, thereby decreasing the duplication of patient records and reducing medicines overuse, expenditures and pilferage. Once fully-operational in all 24 clinics, the biometric system has the potential to improve patient management throughout the municipality. Frequent visitors to the Tshwane clinics have voiced their appreciation for the newly installed biometric identification system, which ensures they receive the correct prescriptions on every visit.